We offer to you rent of luxury car Mercedes R Class 6+1 with driver. 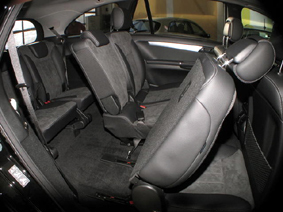 The car is equipped by comfortable luxury leather seats. travel-ling also during longer journeys. The car is fully air-conditioned - has double air-conditioning /sepa-rate air-conditioning for back seats/. English or Russian or German.